As with changing times come changing work areas. 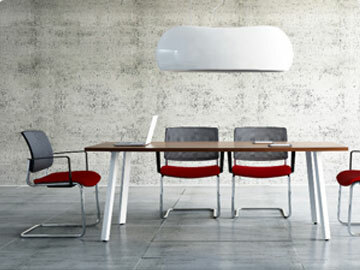 Slim, stylish and colorful office desks now replace the old large dull office furniture of the past. A great range of sizes ensure perfect fit for your office space, ideal for large of small teams. From bench desking to individual single desks all styles are accommodated within the vast range of products available in our portfolio.